This treadmill was rated by Runner's World as a "Best Buy" and has received top praise in epinions.com and other review sites. Both Runner's World and Treadmillbynet.com lists this as one of the best in its price range, and it gets a best buy from Runner's World and Consumer Digest. 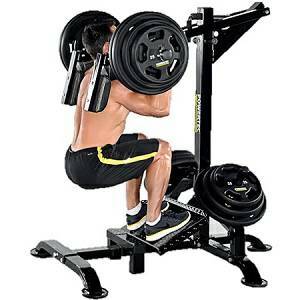 It has 4 programmed workouts with 9 levels of intensity. You can easily build your own custom workout with it's LEARN function, and use it as a personal trainer in predicting calorie burn for speed, incline and duration. Display can show combinations of time, speed and incline necessary to burn the number of calories (or Cooper aerobic points). You can create a custom program with LEARN feature that memorizes the changes in speed and incline as you run. Programs have built-in warm-up and cool down. Easily Customize Your Workout A durable bang per buck, the aluminum-frame Pro-Plus HR puts top treadmill perks in a compact package. You can run eight programs: three preset and four you can customize with a "learn" feature that memorizes speed and incline changes as you make them. The control panel shows standard data like time, speed and distance, as well as an approximation of the calories you've burned. Meanwhile, full-size side rails keep your happy feet from running wild. 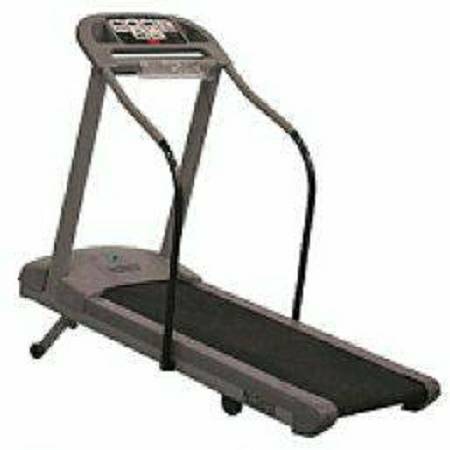 The PaceMaster Pro Plus Treadmill is a high quality treadmill designed for home use. It seems to stand up quite well to repeated use as many users reported having owned their PaceMaster Pro Plus Treadmill for in excess of 5 years. Reviewers found the lack of fold ability to be a downfall of the unit, although many of the higher end treadmills do not fold (folding seems to make treadmills less sturdy). Reviewers also complained of the noise levels that the machine puts off while in use. Positives noted by reviewers are the 54 x 18 in running pad, which is large enough to accommodate both small and large exercisers. Reviewers noted that the running area was designed of a non-slip surface to make running safer and that it felt cushioned which seemed to lessen the impact felt. The PaceMaster Pro Plus Treadmill's top speed is 11.0 mph and its maximum incline is fifteen degrees. This treadmill was rated by Runner's World as a "Best Buy" and Consumer Digest and has received top praise in epinions.com and other review sites. Special features: Display can show combinations of time, speed and incline necessary to burn the number of calories (or Cooper aerobic points) you choose; can create a custom program with LEARN feature that memorizes changes in speed and incline as you run; programs have built-in warm-up and cool down and you can set your own target HR zone; two accessory trays and HR chest strap. ABOUT PACEMASTER: PaceMaster has applied over 35 years of treadmill manufacturing experience to design the most dependable, cost-effective answer for your lifestyle needs. WHY PACEMASTER TREADMILLS? Like the best personal trainers, PaceMaster treadmills offer a complete fitness solution. The unique interactive programming not only evaluates your current fitness level, but also helps you set goals and design custom programs to make those goals a reality. PaceMaster treadmills have received more favorable reviews and 'Best Buy' ratings than any other home treadmill. 'A solid treadmill built by a company with over 30 years of experience.' - Treadmill Doctor 'Bottom Line: A Best Buy. SPECIAL FEATURES: Display can show combinations of time, speed and incline necessary to burn the number of calories (or Cooper aerobic points) you choose; can create a custom program with LEARN feature that memorizes changes in speed and incline as you run; programs have built-in warm-up and cool down; two accessory trays. Bottom line: A Best Buy. The PaceMaster Pro Plus HR offers sturdy construction and lots of features for the money.